Welcome to Hidden Value Stocks. Here premium subscribers will find everything you need to get started. Here are the returns of the stocks our interviewees have picked so far. 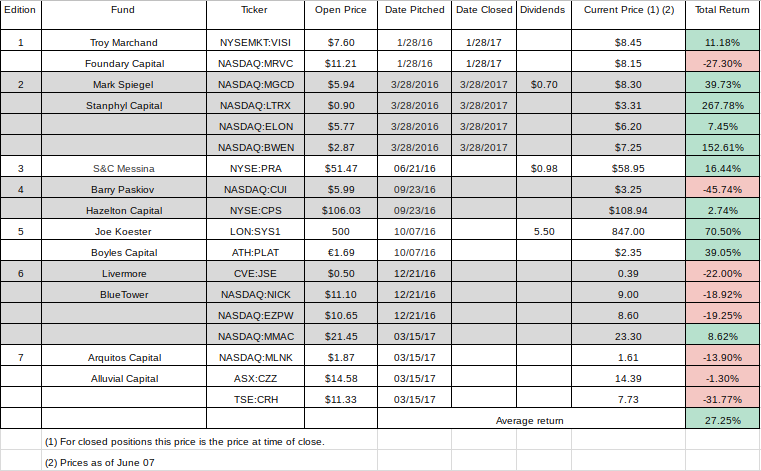 Returns as of 05/12/2017.